The Driver was driving at a time his BAC was .08% or more. Immediate action must be taken otherwise the arrestee will lose his or her license with no ability to challenge the arrest, the breath or blood test or the officer’s actions. The law allows a period of only 10 calendar days to do this. 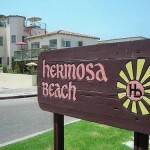 A local hermosa attorney can take care of requesting the hearing and attending for the client. In addition to the DMV process is the court action. A local lawyer can meet with the city prosecutor early after the arrest and negotiate a favorable disposition that can keep the DUI from tarnishing a person’s record. The criminal charges can be dealt with even though the client does not live in the area. Some common outcomes of a DUI arrest can be a dismissal with payment of city costs, reduced charges such as an infraction or speeding ticket, reckless driving, etc. Remember, the city is cognizant of the fact that litigation of criminal charges can be expensive and time-consuming and therefore a local experienced hermosa beach criminal lawyer can get in and negotiate with the city to drop the case in many circumstances, particularly when the officer may have violated the client’s civil rights, when the breath test was not administered properly or when the police officer may have failed to follow well established regulations and protocol.